I love banoffee pie and I love experimenting! I wanted to see what I could make out of coconut milk and these delicious digestive crackers that I found over at A virtual vegan. You won’t be disappointed. She also has a funny discussion whether to call them biscuits or cookies. I, will, therefore, call them digestive crackers. You can, of course, buy them as well if you like. 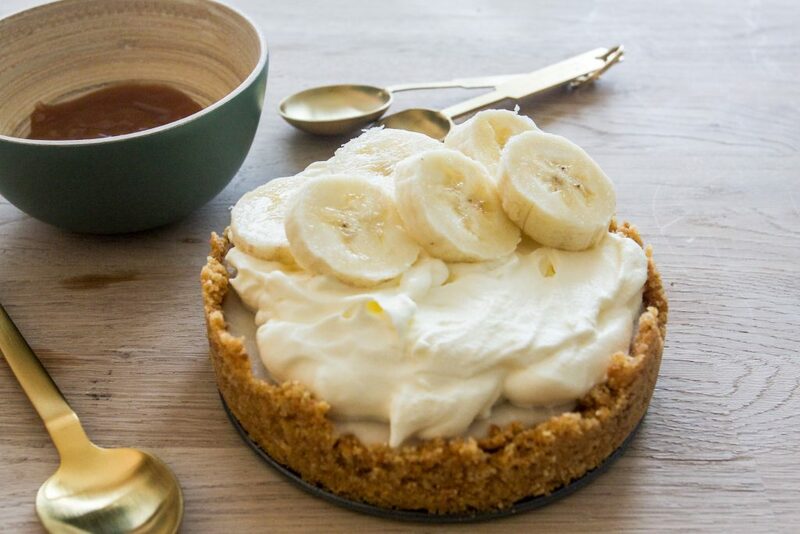 This banoffee pie tasted so good, you can triple the recipe from the beginning. I just made the pie in a little baking-tin, made for two. Well you know, just in case it wouldn’t turn out the way I wanted it to. I added a little caramel sauce on side, mostly because I’m such a sweet tooth.